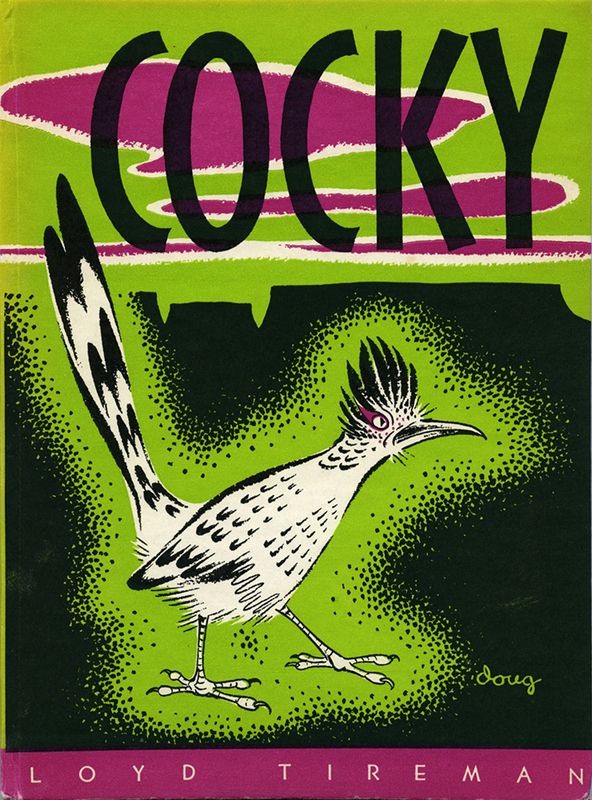 Cocky, a rollicking little roadrunner, joins baby jack rabbit Hop-a-long and the other creatures of the desert in the fourth book of the Mesaland Series. The small, gawky bird with his long bill and peculiar running gait first frightens his neighbors, then makes them laugh. But they learn to love and respect him after he defeats the enemy rattlesnake in an exciting fight. New characters featured in this story include field mice, lizards, and a nest-robbing hawk. A villager, rooster, and hunter also keep Cocky jumping. Born in Orchard, Iowa, Loyd Tireman (1896–1959) was a pioneer in bilingual and community education. In 1927 Tireman began his thirty-two-year career at the University of New Mexico as a professor of elementary education. In 1947 Tireman established a curriculum materials center, which grew into a library located at the University of New Mexico College of Education. Ralph Douglass (1895–1971) was a professor in the Department of Art at the University of New Mexico. Evelyn Yrisarri was a member of the National Storyteller’s League of Washington, DC, and specialized in storytelling for young children.